Have you bought your tickets for the "Greatest Show on Earth" yet? 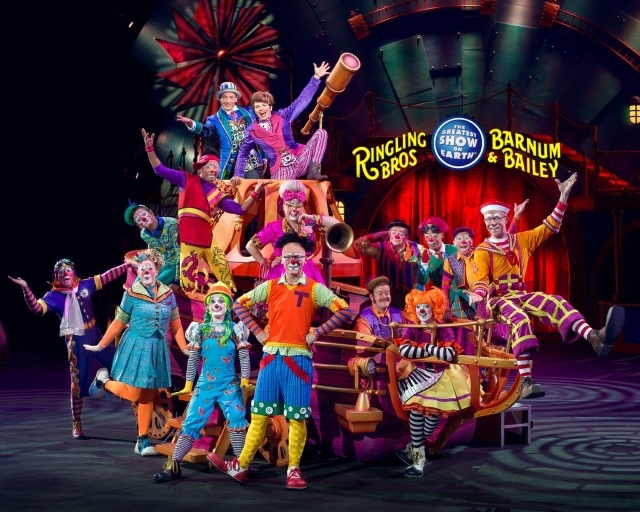 Ringling Bros. and Barnum & Bailey Circus is coming to town and I have a DISCOUNT CODE for you! 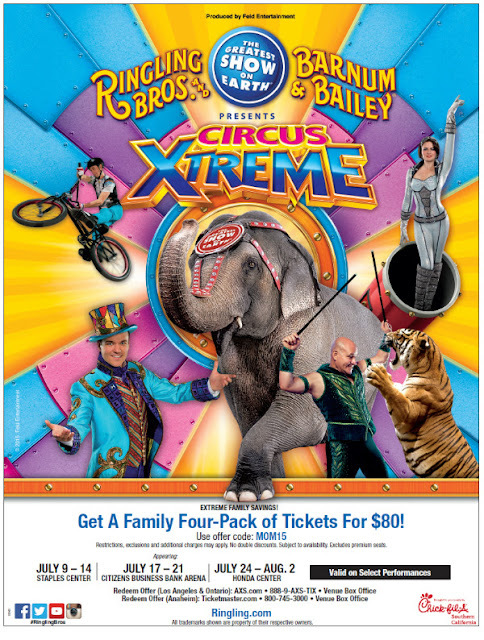 That's right, you can see Circus Xtreme for a family of four for only $20 per person! Win tickets below! Come see your favorites; Clowns, Acrobats, Tigers, Elephants and the All New, BMX Extreme Riders! Which show will you come to? Staples Center? Ontario Business Bank? Honda Center? There is bound to be a show that fits your schedule. COME EARLY!Before the show, visit the Animal Open House to get up-close with the amazing animal stars, and join the cast on the stage! The all Access Pre-Show allows families to meet performers, circus clowns, and more! TICKETS: Prices range from $25, $30, $45–$50 (VIP), $100–$110 (Front Row)*. Opening Night tickets are only $15 each (not valid for VIP/Front Row seating)*. Prices vary between weekday & weekend performances. Tickets available for purchase online at AXS.com, charge by phone at 888-9AXS-TIX or in-person at the venue Box Office. *Note: All shows include the All Access Pre-Show. Tickets may be subject to service charges, facility and handling fees. TICKETS: Prices range from $22, $27, $38–$42 (VIP)*, $70 (Front Row). Opening Night tickets are only $15 each (not valid for VIP/Front Row seating)*. Tickets available for purchase online at AXS.com or CBBankArena.com, charge by phone at 888-9AXS-TIX or in-person at the venue Box Office. *Note: Prices vary between weekday & weekend performances. Tickets may be subject to service charges, facility and handling fees. All Ontario shows include both the Animal Open House and All Access Pre-Show. *All Anaheim shows include both the Animal Open House and All Access Pre-Show. TICKETS: Prices range from $20, $25, $30, $42 (VIP), $70–$80 (Front Row)*. Opening Night tickets are only $15 each (not valid for VIP/Front Row seating)*. Tickets available for purchase online at Ticketmaster.com, charge by phone at 800-745-3000 or in-person at the venue Box Office. *Note: Tickets may be subject to service charges, facility and handling fees. Prices vary between weekday & weekend performances. All Anaheim shows include both the Animal Open House and All Access Pre-Show. DISCLAIMER: I will receive tickets to a media night to see the show. 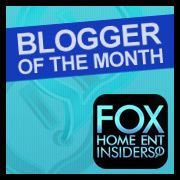 The giveaway winner will be given 24 hours to respond to receive the prize before a new winner will be drawn. I like to see the acrobats doing the trapeze act. We had a great time last year. Would love to go again! I would love to go to the Circus! My son has never been to the circus...and he is 10! !